InStyle Magazine Photo Shoot (Aug 2009). 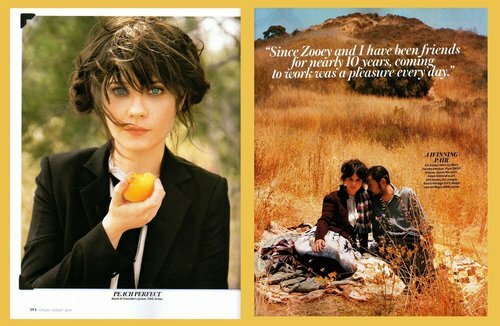 InStyle photo spread of Joseph Gordon Levitt and Zooey Deschanel. HD Wallpaper and background images in the 500 Days of Summer club tagged: photos spread modeling joseph gordon-levitt zooey deschanel. This 500 Days of Summer photo might contain anime, comic book, manga, and cartoon.